Russia has taken religion to new heights after creating a flying church, complete with paratrooper priests. 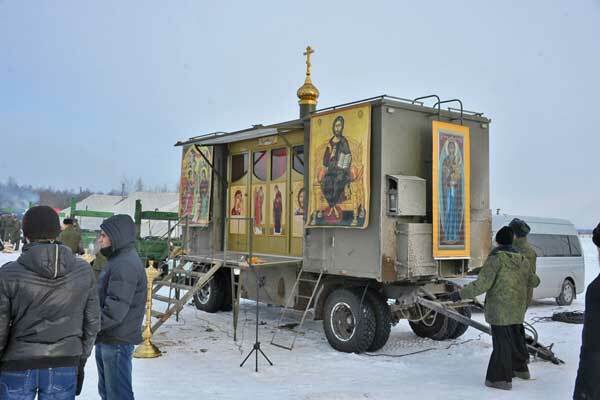 The unique high-tech, air-dropped church consists of a modified army tent and a life-sustaining module including a diesel power source, air conditioner and fridge, and is put on the ground with an airborne platform, according to the Russian news site RT.com. Officials say the airborne chapel is needed because the Russian Orthodox Church requires special sacraments that demand a substantial number of utensils such as bells and crucifixes. But in order for the plan to take flight, Russian military leaders are drafting some chaplains who are experienced paratroopers. No word on when the flying church will launch, but Russian officials reportedly expect them to be ready soon.